Being based in Hong Kong, my tech friends and I still occasionally get asked, “So what’s the deal with FireChat?” In case you missed it, FireChat, a smartphone chat app with basic mesh support, made headlines during the recent Occupy Hong Kong protests. Protesters on the ground here turned to it in late September when rumors began to circulate that the government would shut down the internet. It never did, but plenty of people, myself included, downloaded FireChat anyway. Hearing about this, many publications then used FireChat to tell a techno-utopian story about the future of mesh networking. Yet in the same stories, many publications pointed to faulty evidence of, or simply speculated about, people using its mesh features. (The sole exception being TechPresident’s Rebecca Chao, who actually found real evidence of its use.) As the hype has subsided, we at 88 Bar have decided that it’s a good time to review the facts and figures around FireChat. Figure 1: Press images are from its listing in the iTunes store. And according to FireChat’s twitter account, people are still using it: their stats show 208k chat sessions on December 16, 2014. Figure 2: A 12-second clip of FireChat in action (as of 11am, January 12, 2015). Picture shrunk in order to conceal username + locations. As Nathan Freitas and Oiwan Lam write in Global Voices: “FireChat is not a messaging app. 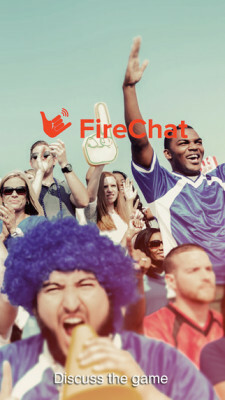 FireChat is a chatroom, a platform to send insecure and public messages to people over the Internet or within your geographical vicinity.” As such it is not a replacement for Facebook Messenger, WhatsApp, Line or WeChat. 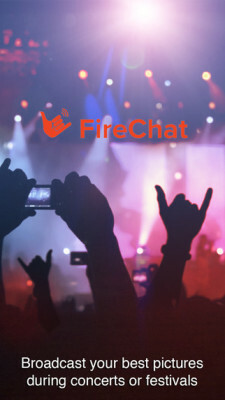 I had heard quite a bit about FireChat…even before the Hong Kong protests and it’s interesting to see that it wasn’t as widely used as I originally thought. I’m still not completely sure I understand “mesh networks” but I know one thing for sure: I don’t think that FireChat is any less secure than the alternative here in China- WeChat.